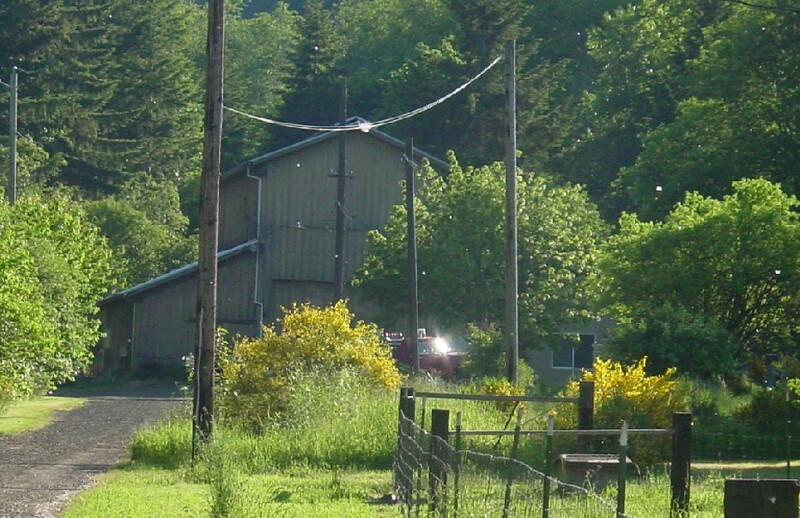 Also, check out my related United Railways (Oregon-American Mill) Page. 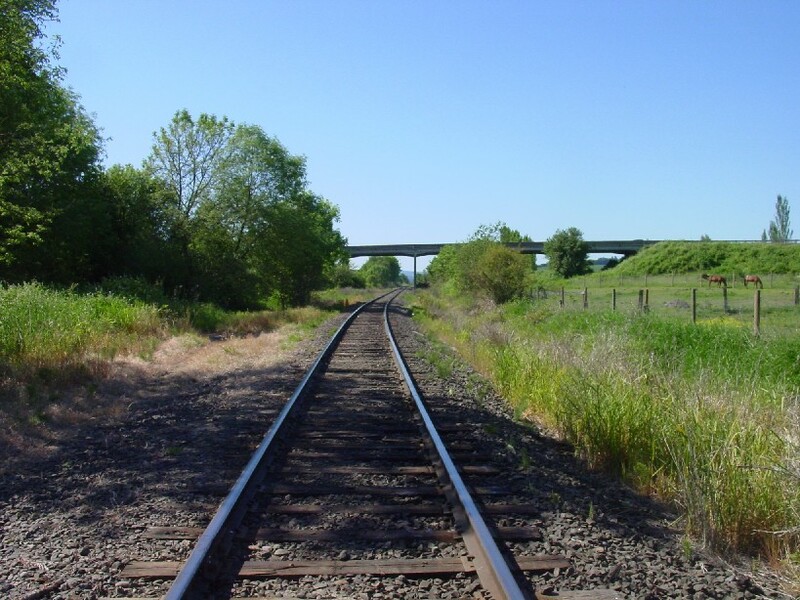 The RR that used to interchange with the GC&WR Railroad. 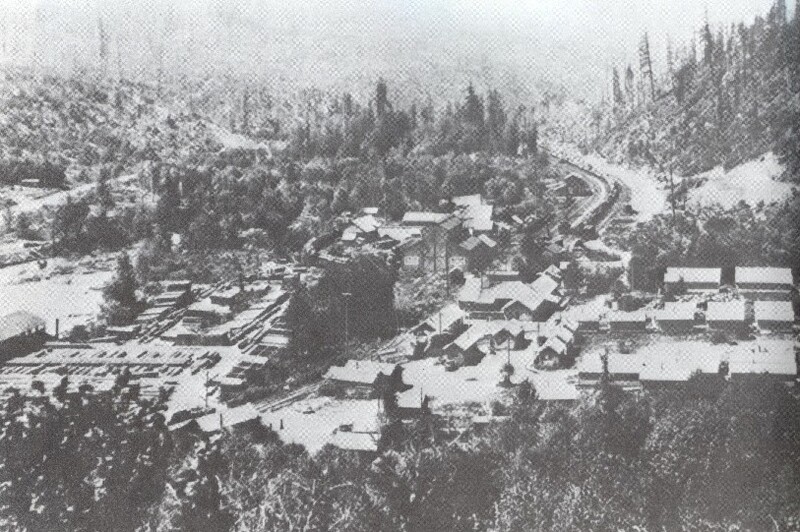 build a logging railroad, Washburn built one himself, starting in 1917. They started in Wilkesboro, what was at the time, the end of the United Railways line. known is the fact that the line also originally connected with the SP at Wilkesboro. Northern Pacific. They also contracted out with a United Railways work train to do the track laying. had run out of funds to build a logging road into the woods and develop his own stands. deep into the woods this line ran, but probably not far as this operation only lasted a few years. from then on, the GC&WR only connected directly with the United Railways. the Blodgett Company, Crossett-Western and Henry F Cheney. 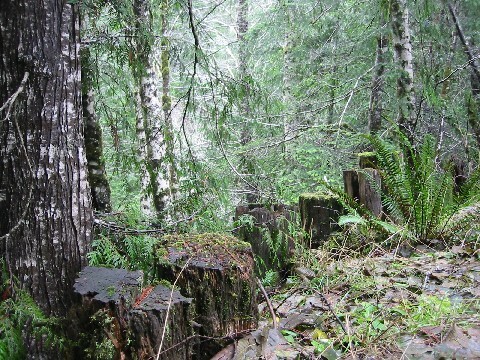 northwest of Portland, Oregon, where the logs would be dumped into the river. 1950, it was officially abandoned and in 1951 the tracks were pulled up. route used some existing roads, but also used a couple of sections of the abandoned GC&WR railroad grade. showed me where the grade really was. Unfortunately, this was after at least two trips to the area, so I missed a lot of stuff. are heavily overgrown. 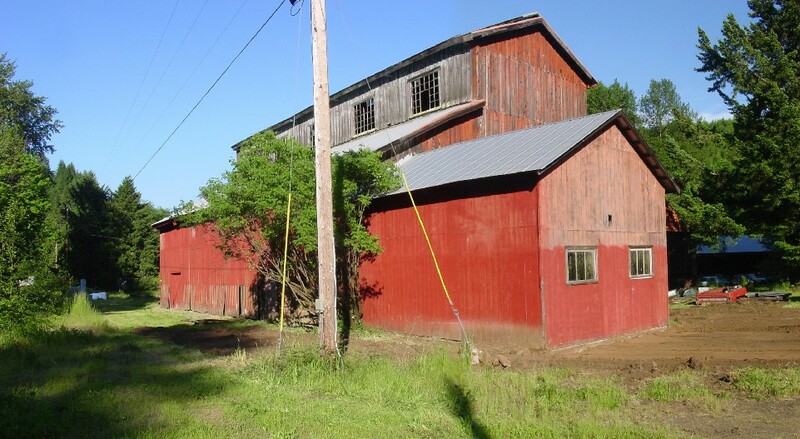 The engine shops and grades in Glenwood do exist and they are significant historical structures. 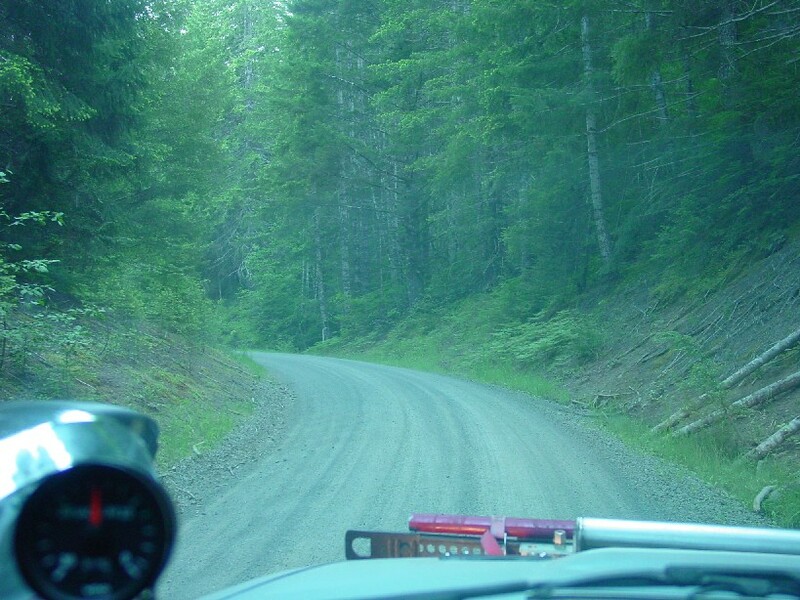 truck logging roads when logging resumed in the 1970s. Some original untouched grades still exist. ever had to locate and was at a loss until I saw an old map. I've plotted the route based on a 1928 county map. Washburn. This may have been a mill pond at some point. Today, nothing is left of Washburn and the locomotive shops that used to exist here. Highway. 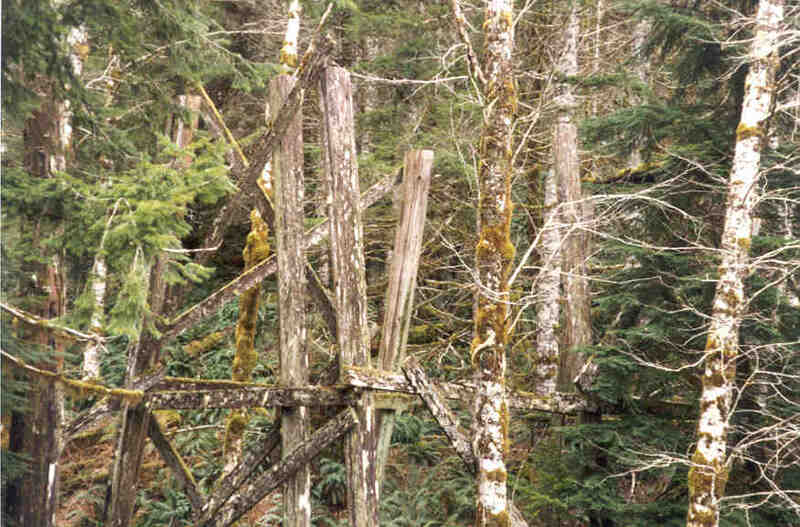 This trestle took longer than expected to build and was part of the reason the line was not completed until 1920, despite construction starting in 1917. 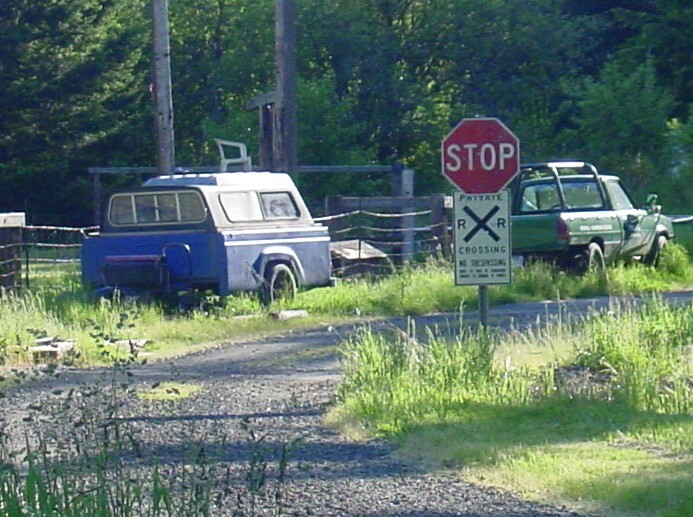 A short road off of the highway can be taken to see the general area that was the locomotive facilities. 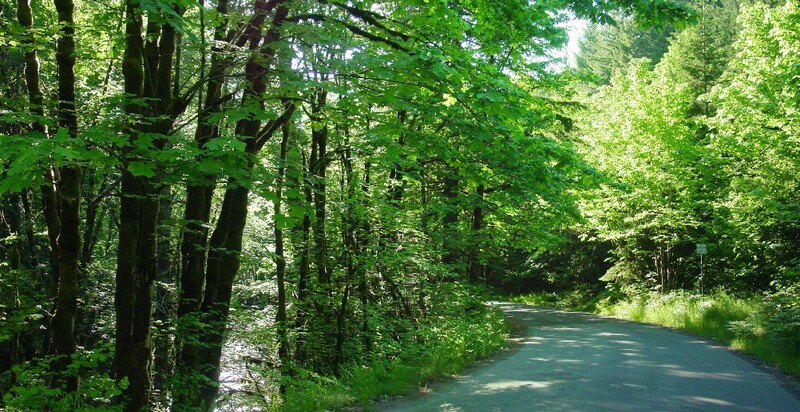 This road is actually built on top of the old railroad grade. 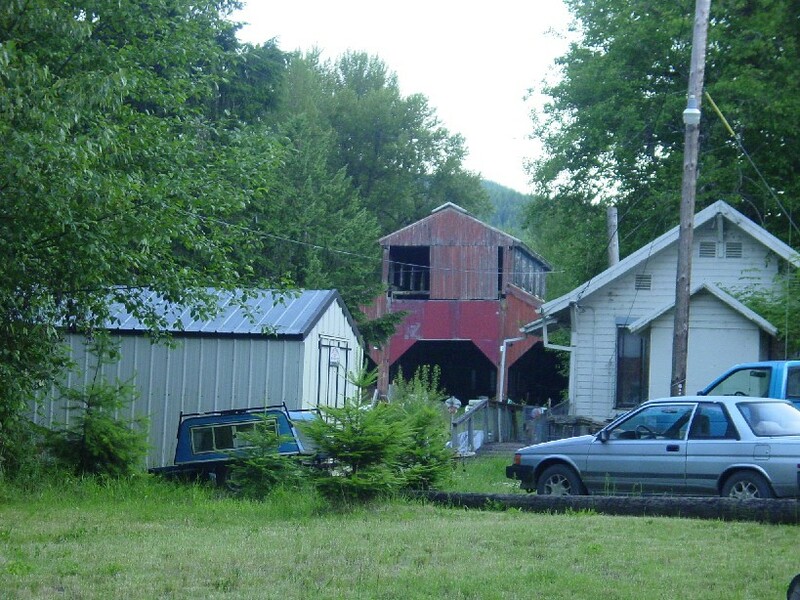 Another locomotive shop is also located on property. 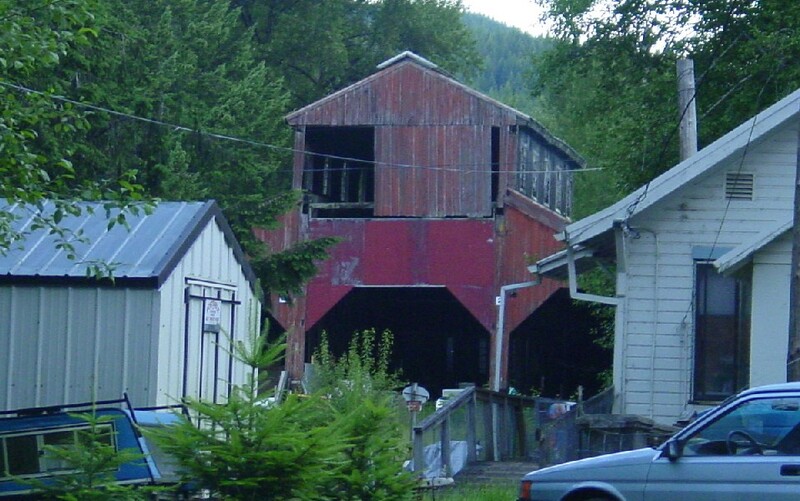 This was probably a machine shop, or storage building as no pit is located inside. 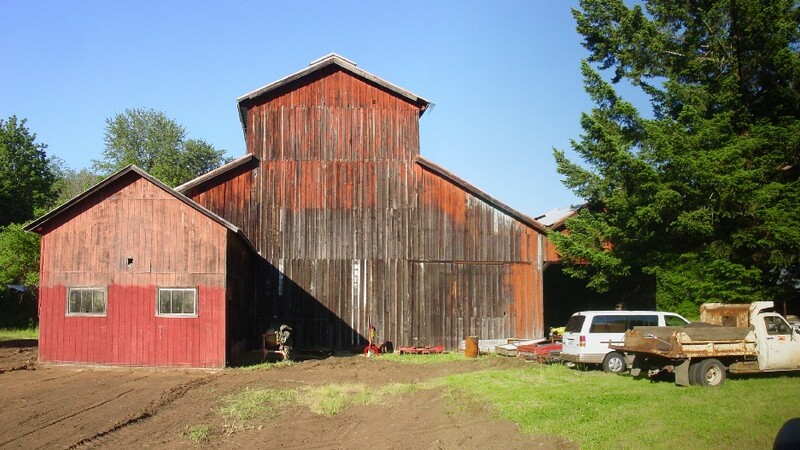 It was also built in 1936.
of this timber would be lost forever if it was not logged quickly before disease and rot took over. Company, Crossett-Western and Henry F Cheney. Highway 6, via a trestle. 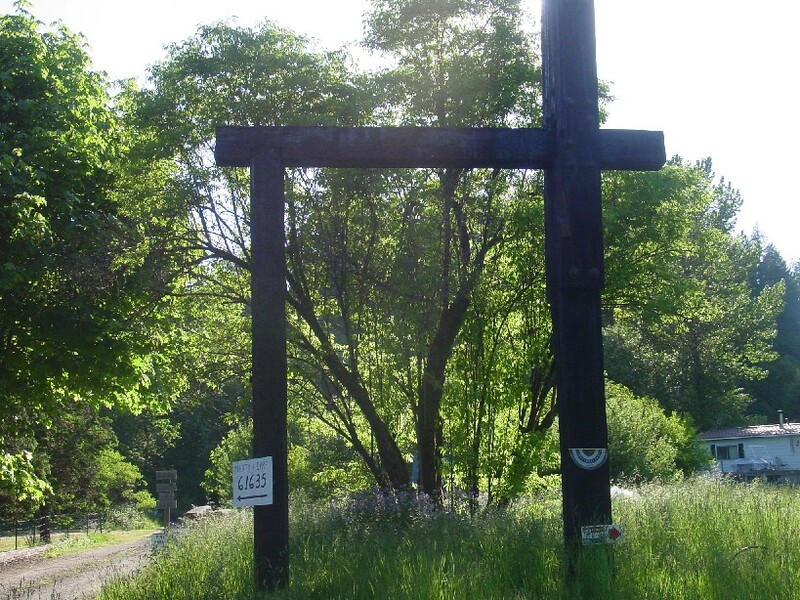 Now on the south side of present day Highway 6, the line continued west to a point called Owl Camp. 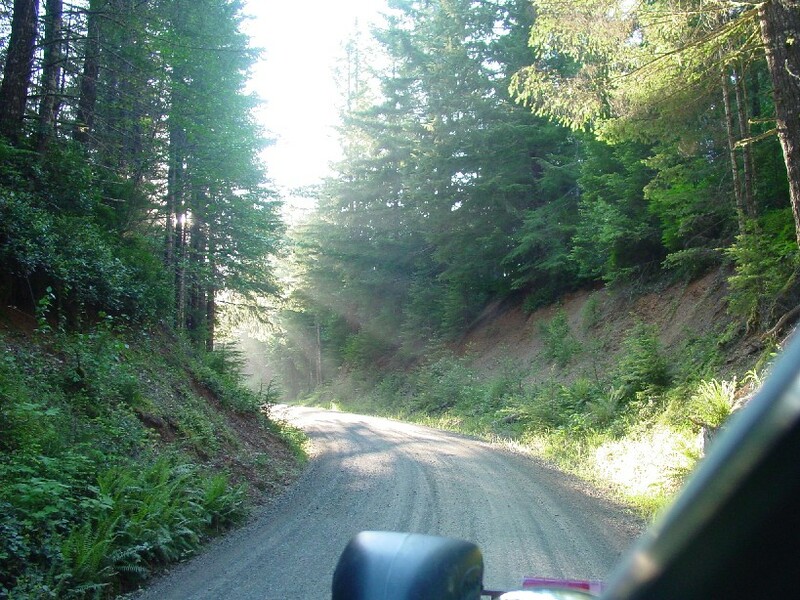 which headed into the present day Tillamook OHV area. Both branches had a number of spurs that ran off of them. 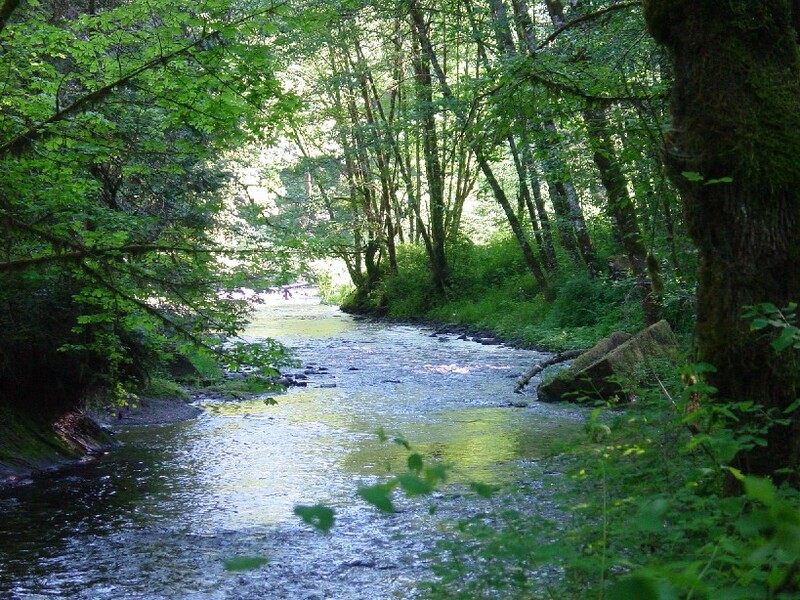 Oregon, where the logs would be dumped into the river. 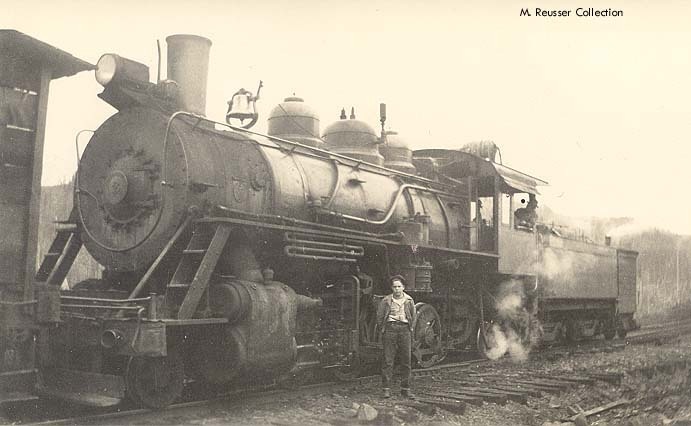 Consolidated grades were later be converted into logging railroads and can still be driven on today. 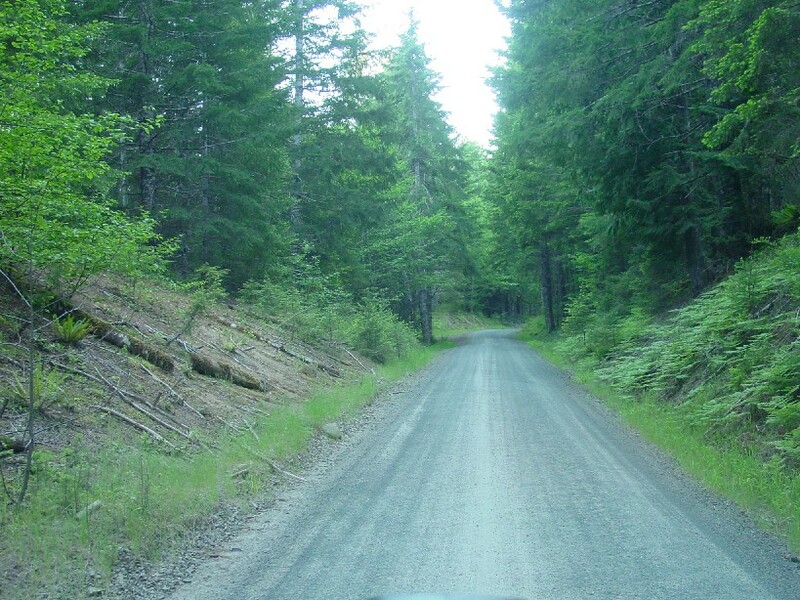 into a logging road that mostly gated off. 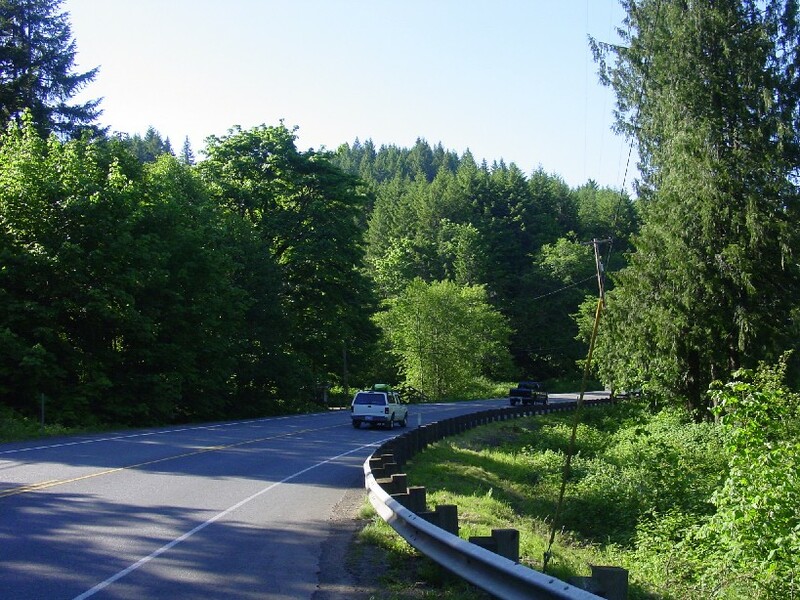 These photos were taken of the grade just east of Gales Creek Forest Camp. 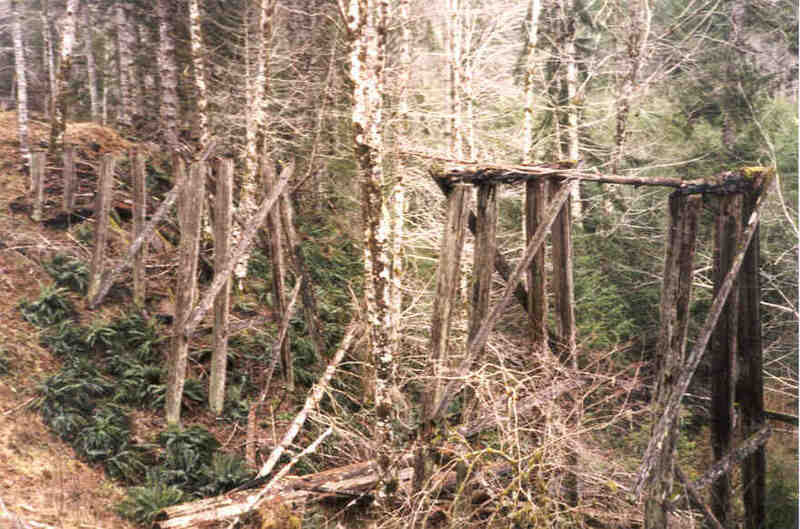 These are the remains of three seperate trestles as they appeared in 1998 that are located off of the south branch. 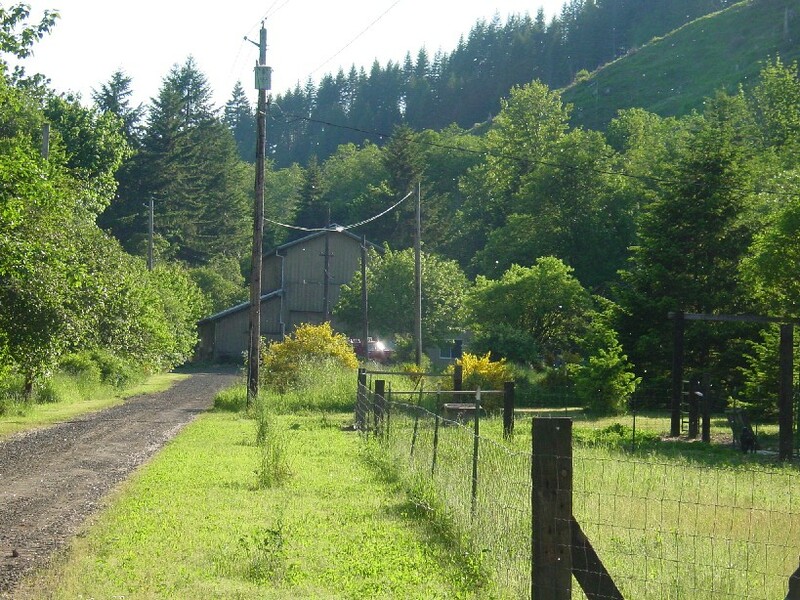 Now located inside the Tillamook OHV. 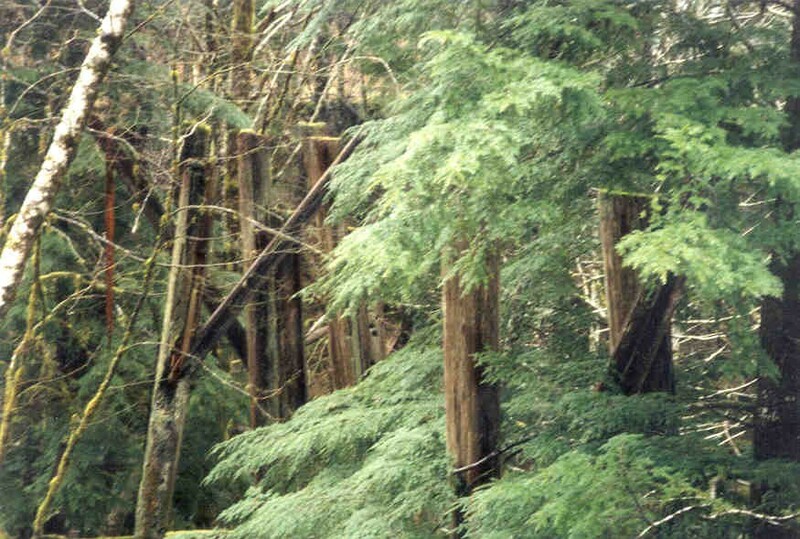 The remains of this trestle are located off of Storey Burn road which was built on top of Consolidated's north branch. Photos: Feb, 2004.
a few years. It was scrapped in 1932. 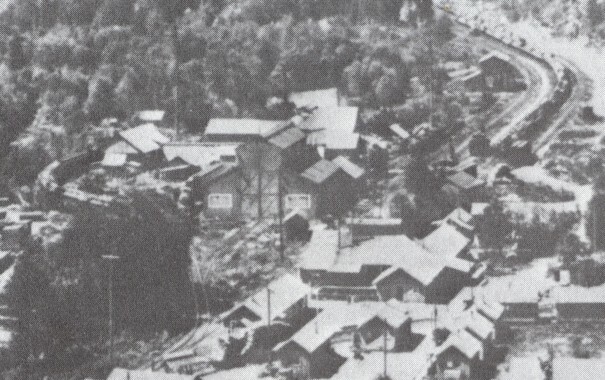 Consolodated Timber during the 1940s. He was kind enough to relate the following information. as near as I can remember. 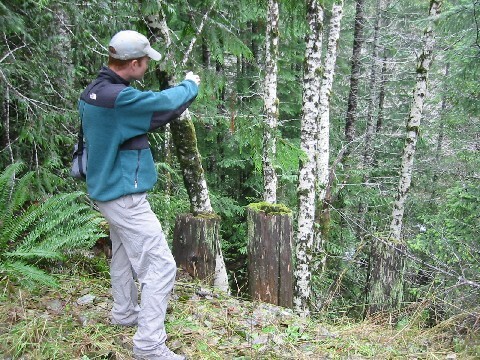 I know that the 1945 burn took care of a lot of the trestles on the Consolidated Timber Co.line. from the landing to the reload I mentioned, and then loaded on to the disconnect rail cars. 2:30 or so in the afternoon or sooner if the humidity dropped to low. day so we road back on an empty flat car that it had picked up. It's only car. What a view! r.o.w. 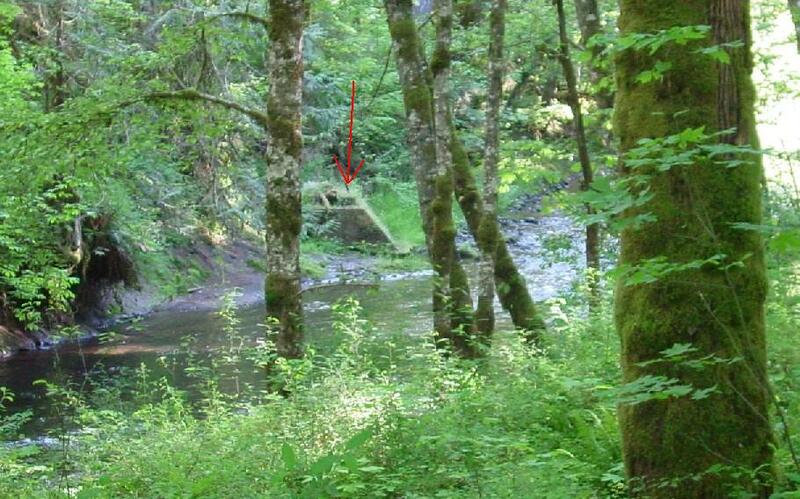 is 100 feet wide in that location. 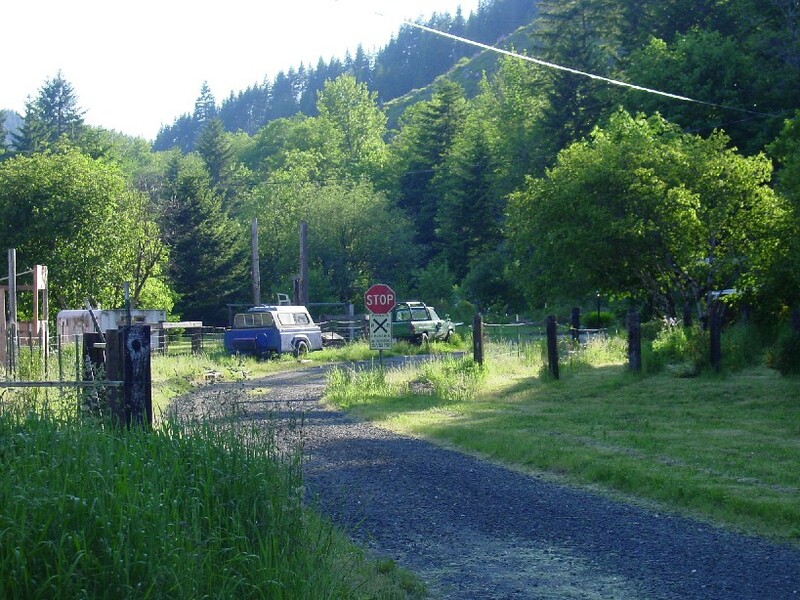 At Timber Junction, there is a gravel road to the north of the hiway that extends a few hundred feet west. only as far as the Consolidated camp. built for tank cars with bunker C oil to be unloaded for use by the steam engines as they were oil fired. reopened again. I first visited the mill shortly after the closure when we were looking for a site for our streetcars. to pay him retirement benefits. GC&WR Glenwood yard and shops. They are now located in Brooks, Oregon. If anyone has any further information or pictures about this railroad, please let me know. You can Email me anytime. Thanks. to use, I apologize. If you send me an Email, I will remove the photos immediately or give proper credit, which ever you wish.